Its white in all directions. No indication of where the frozen, snow-covered lake ends and the sky begins. The only hint of which way to proceed is the line of small red marker flags hanging onto the snow while the icy headwind points them sharply back towards me. Alongside the flags the footsteps of the runner just ahead are quickly filling with snow. Progress is much slower than I had expected. 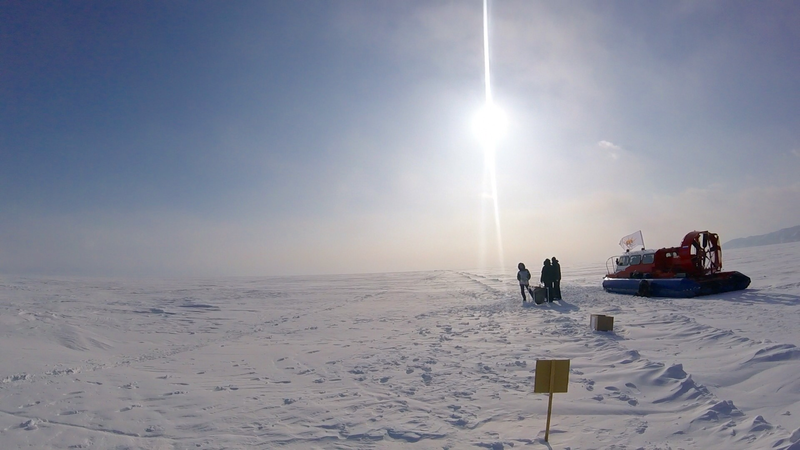 The start of 12th edition of the Baikal Ice Marathon had been delayed by over an hour. A huge crack in the ice opened up about 3km into the course and parallel to the coast where we would start. Going around it wasn’t an option. The solution was to park three hovercrafts, which were there to support the race, on top of the crack. Runners could then climb up and over the hovercraft to cross the crack. 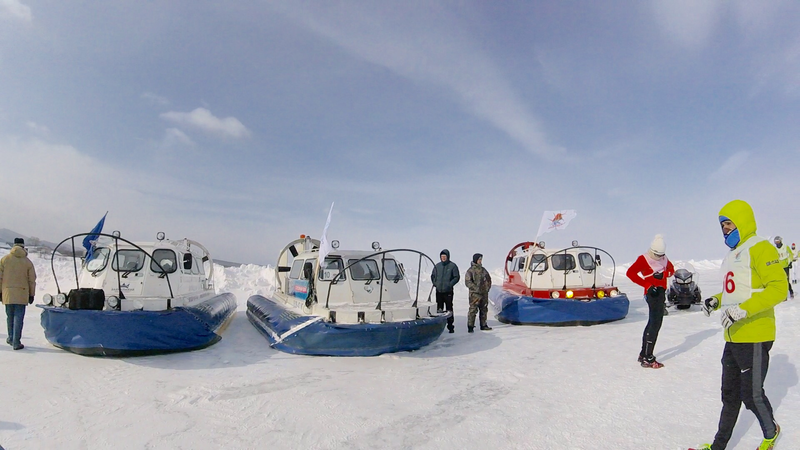 We waited nervously in a small club house on the Eastern shore of Baikal while the hovercraft were positioned. A guy that had come all the way from Rio was still deciding between legging options and asked my opinion. I let him know that I’m South African and had never been anywhere near -20 degrees, nor tried to run in it (I did suggest adding the wind proof shell.) A US marine, based in Moscow, looked calm and clearly knew what he was doing. As did a Russian guy from further east who commented that he’s used to -30 so he wasn’t going to wear too much gear today. The Japanese guy I met at the airport still looked as confused as he did when I met him. The hovercraft were in position and the race ready to start. We exited the building one by one, pulling masks and gloves safely over the last pieces of exposed skin, and lined up at the edge of the lake. Seconds later it began. The first few kilometres were easy running but uncomfortable for me. Adjusting zips and straps, trying to find a balance between warm and too warm. In these conditions you cannot afford to sweat, which would instantly freeze between your base layers. Slowly I settled into a rhythm. The rhythm was to be short lived as the wind picked up and the layer of snow deepened. 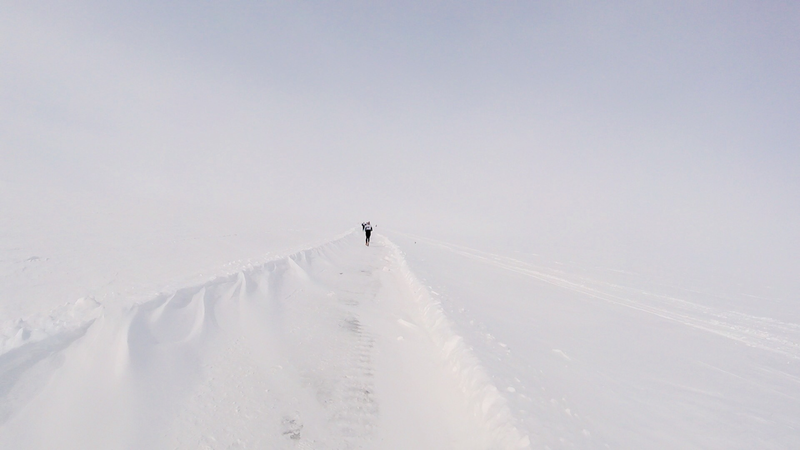 Suddenly there was no easy line to be found – some steps would land on hard pack ice, others would vanish calf-deep into snow. Following footsteps was the best strategy, but those were quickly covered by snow drift. Support stations served hot, sweet tea. Along with frozen raisons, frozen cheese, frozen nuts and frozen chocolate! I learnt to use the hot tea to defrost what I wanted to eat. Water bottles handed out had to be consumed within seconds, before they become blocks of ice. The finish line lay on the Western shore of the lake. What started around a 3:30 marathon time would eventually end up just short of 5 hours for me. Hot showers and a huge dinner waited a few hundred meters further. And lots of vodka, of course. Staring into the vast whiteness, struggling to put one foot ahead of the other in deepening snow, experiencing conditions I had only read about, I was was exactly where I wanted, and needed, to be. I didn’t go to Siberia to run across a lake. I went to start experiencing and learning what racing in these conditions would be like. There are no red flags marking the way to the where I really want to go, the headwinds will be much worse and the temperatures somewhat lower. However, at some point one needs to step out of reading the accounts of other adventurers and start getting the experience yourself. 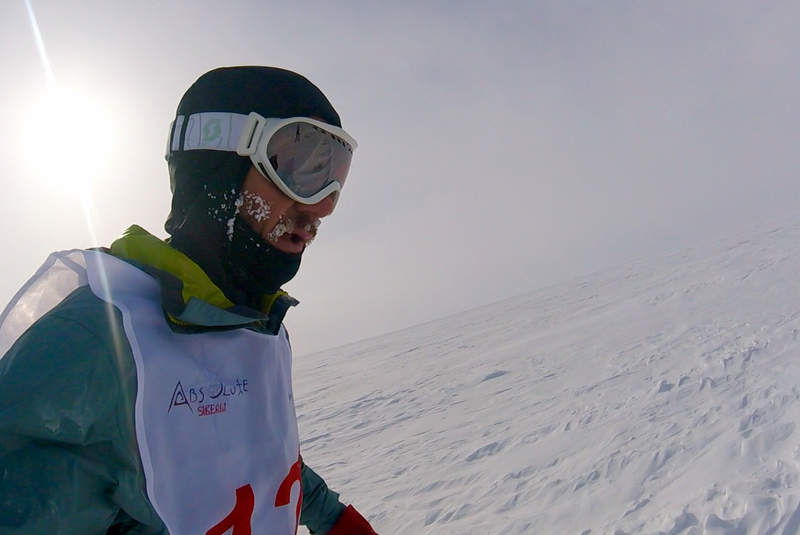 This trip to Siberia was just that for me, and there’s much more to come.